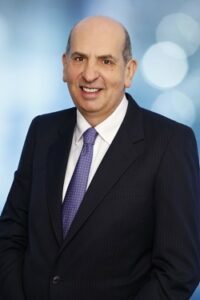 Stephen joined Paxton-Hall Lawyers in July 2013 as a special counsel, bringing with him over 35 years’ experience in Queensland legal practice. Previously a partner in one of Queensland’s oldest law firms, Stephen brings to the practice a wealth of experience in nearly all aspects of commercial and property law. Stephen’s approach to legal practice is illustrated by his ongoing commitment to learning and professional development. He has a close affiliation with the Queensland College of Law, having been a part-time lecturer and examiner at the college in property and commercial subjects since 2007. He co-authored the college’s paper entitled Commercial Leases in Queensland and regularly presents at professional seminars on property-related issues. Stephen has considerable experience in the administration of deceased estates. He has also served on the boards of numerous not-for-profit companies and incorporated associations.